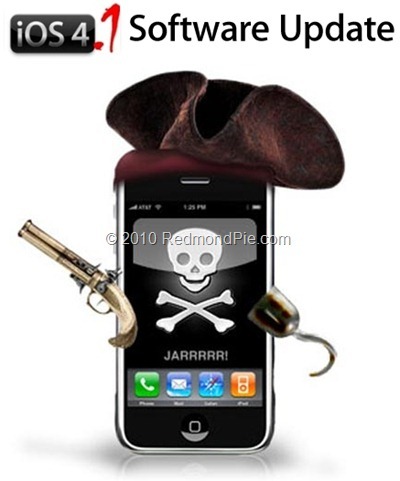 Next week, Apple will roll-out the new iOS 4.1 firmware for iPhone 4, 3GS, 3G, iPad and iPod touch. This new firmware like iOS 4.0.2 will require another exploit for jailbreak as the loophole which was found in iOS 4.0.1 was quickly fixed by Apple in iOS 4.0.2. Comex will be on it once Apple releases the firmware to public early next week. The question is, what kind of exploit is going to be used to jailbreak iOS 4.1? Is it going to be a another userland exploit like Spirit or JailbreakMe, or are they going to release bootrom exploit like Blackra1n which will last longer than the userland exploit before Apple patches it. The iPhone Dev-Team member MuscleNerd confirmed today that Comex is first going to give userland jailbreak a go via something he mentions as “trifecta”. If that fails to work, then they are going to release a new jailbreak based on bootrom exploit which could probably take longer than the userland jailbreak to arrive. So there you go! There will be a jailbreak one way or the other! But there is of course no ETA on it yet. As a reminder, if your iOS device relies on a jailbreak or a carrier unlock, make sure you stay away from iOS 4.1 when it hits iTunes next week. Also make sure that you have PDF Patch installed from Cydia on iOS 4.0.1 to keep your jailbroken iPhone, iPad or iPod touch safe from PDF vulnerability in iOS 4.0.1 and below.